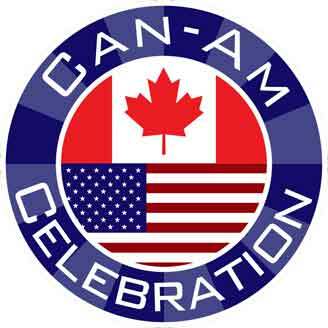 The LCS selects a date for CAN-AM that always falls between July 1, Canada Day, and July 4, U.S. Independence Day. The event commemorates the birthdays of these two great nations, the birthplace countries of many lakeside residents. Non-profit organizations are invited to set up a table to promote their groups and explain the work they do. This high-traffic CAN-AM event is a good time to recruit volunteers and do minor fundraising. CAN-AM Day is held at the LCS campus and will also feature musicians, food, drink, dancing, a used book sale, and a children’s art sale. Advance sale of tickets are available at LCS for 50 pesos. Tickets at the gate will be 100 pesos. The LCS has arranged for Tony’s Restaurant personnel to be on hand grilling up burgers, dogs, and brats. LCS volunteers will be selling corn on the cob. A cash bar and other refreshments will also be available. Registration at 100 pesos per non-profit organization is limited and offered on a first come first serve basis between 10 a.m. and 1 p.m. on Monday through Friday at LCS. Space is limited and the LCS reserves the right to reject applicants. The deadline for registration is at 1 p.m. on Friday, June 27. Among the regulations for non-profit participation are the following: Two volunteers per registered organization are admitted without charge, but additional volunteers must pay 25 pesos each. Each group is allowed about two meters by two meters for display space. Set up is allowed between 8 and 9:30 a.m. on the day of the event. Registered organizations must bring all needed materials, including tables and chairs, change and enough volunteers. Non-profit organizations wishing to sell food must make arrangements at the time of registration and may not sell beverages of any type or hot dogs, burgers, brats, or corn on the cob.